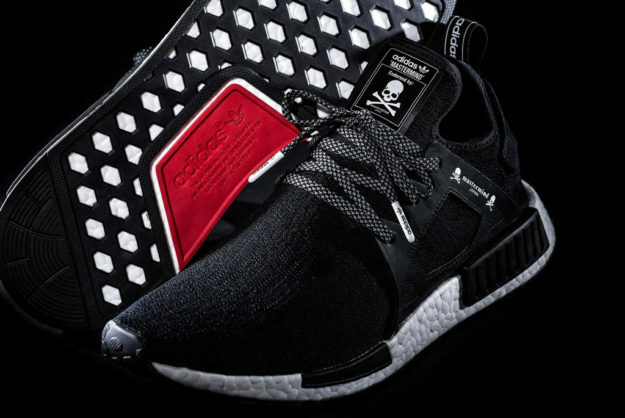 The official reveal of the awesome JAPAN x adidas Original collaboration is followed up with a closer look at this unique two-piece footwear offering that will leave you breathless. 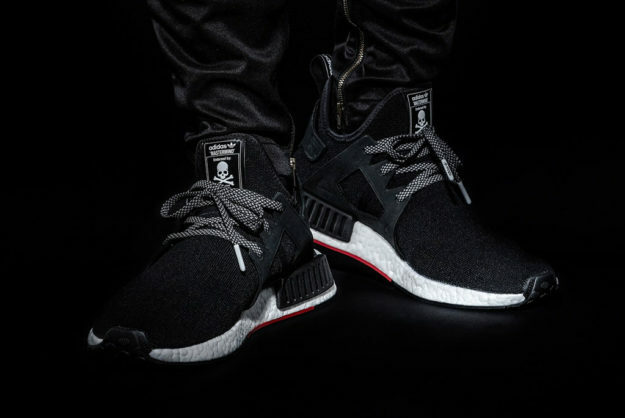 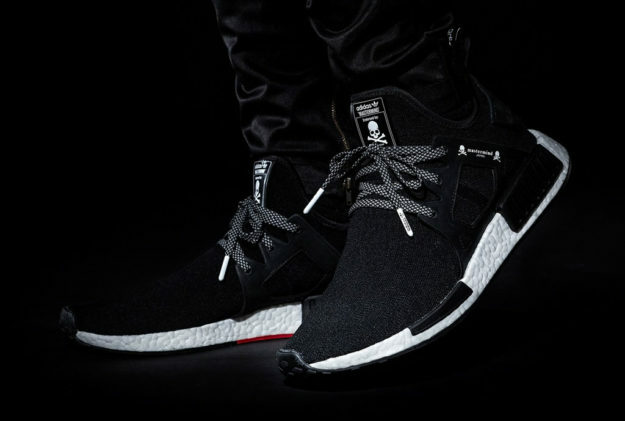 The adidas NMD XR1 sports an awesome new look courtesy of Masaaki Homma and his punk-inspired design. 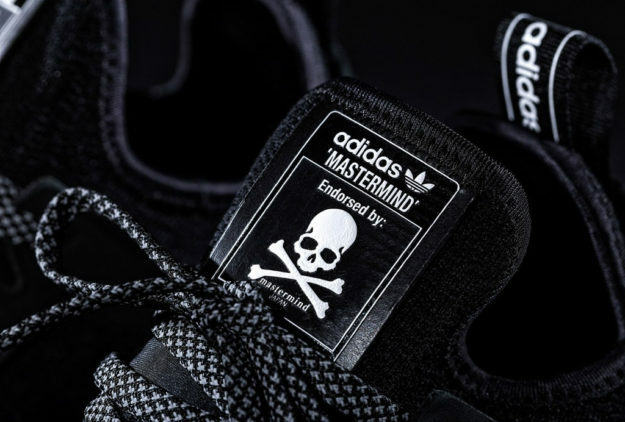 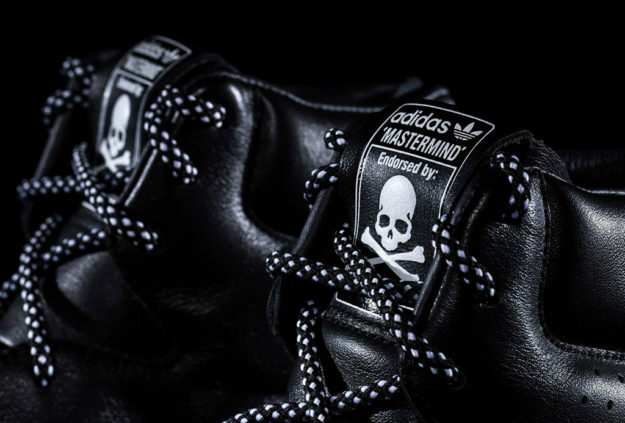 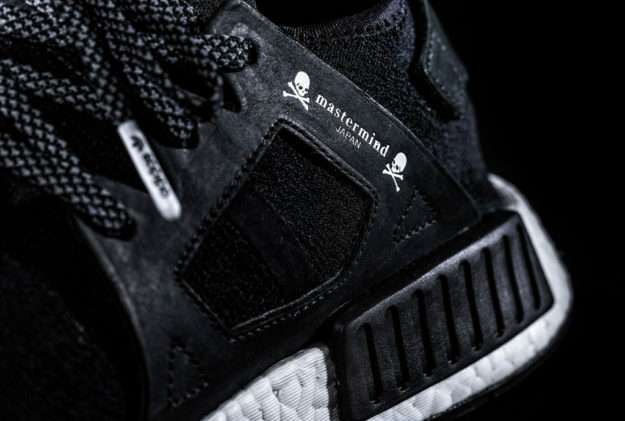 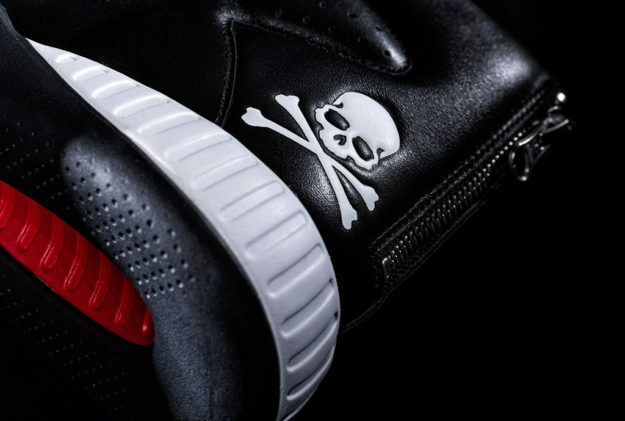 The model flaunts a black colorway complemented by mastermind branding along the support cage and tongue, while reflective laces offer a nice contrasting touch to this monochromatic look. 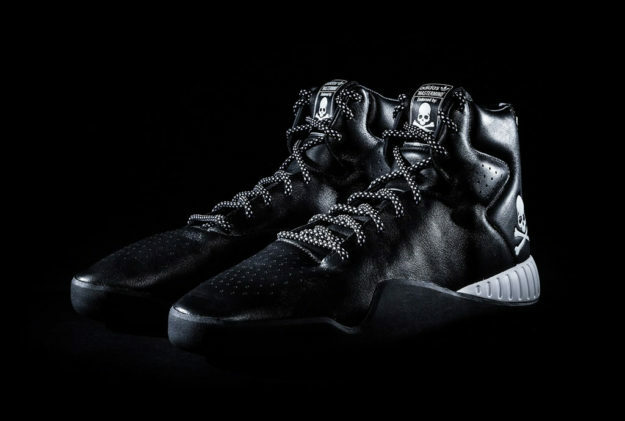 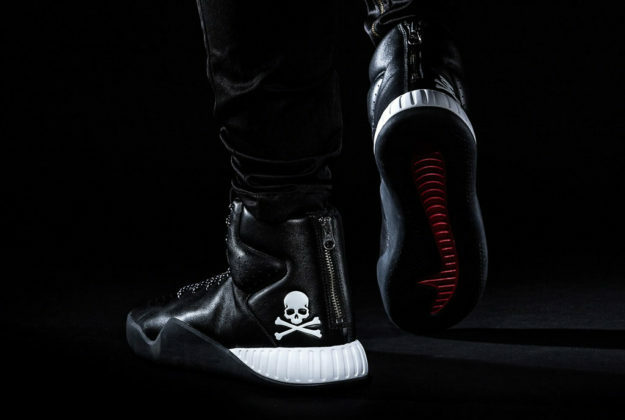 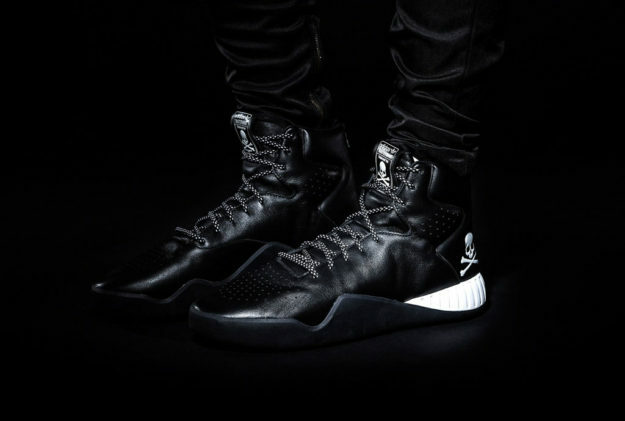 As for the Tubular Instinct, it comes in a plush leather version with a heel zipper, toe perforations and its own reflective lacing, while the mastermind skill and bones finishing adds a final touch of flair.